I always felt jealous of guys on here who run into those estate sales and buy massive amounts of good material for pennies on the dollar. Well I had my turn finally at a rock show here in Orlando. I went to buy a couple pieces of rough from the first booth I went to, she weighed them and then told me she was tired of having to weigh each piece of rough(the rest of her stand was a load of separated and priced slabs of various rock) and to make me an offer on her entire selection and she wouldn't be offended by a low bid. I offered a hundred bucks thinking the worst she could say was no, but she said sold instead. So I ended up with multiple small plastic bins of various rough opal. One entire bin is kinda meh, but the other bins were decent Coober, some Mexican, Honduran, some kind of black(like pitch black) matrix with very distinct seams of bright opal running through it, and a decent sized pile of what I am pretty sure is Slovakian opal based on visuals of some material I already had. Nice light grey matrix and bright almost Ethiopian-like color but is definitely not hydrophane. Its more Slovakian rough than I have seen anywhere else even online. So seeing as the material is kind of visually similar matrix-wise to Mexican, would I cut and polish it the same way? 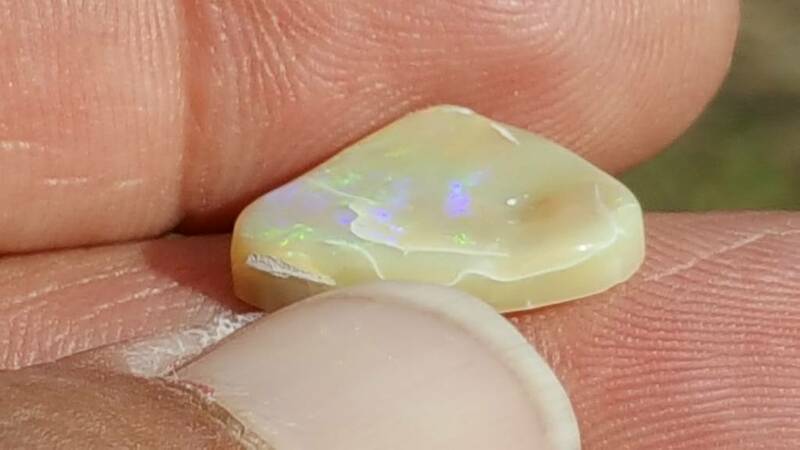 i would like to see photos, i just carved an opal (coober peddy i believe) this last weekend. I might be interested in some of the "Meh" material one of these days? Can you post a picture of it, please? I want to see!!!!! My heritage is Slovak and I have one little piece that I bought as a specimen, just to have it. 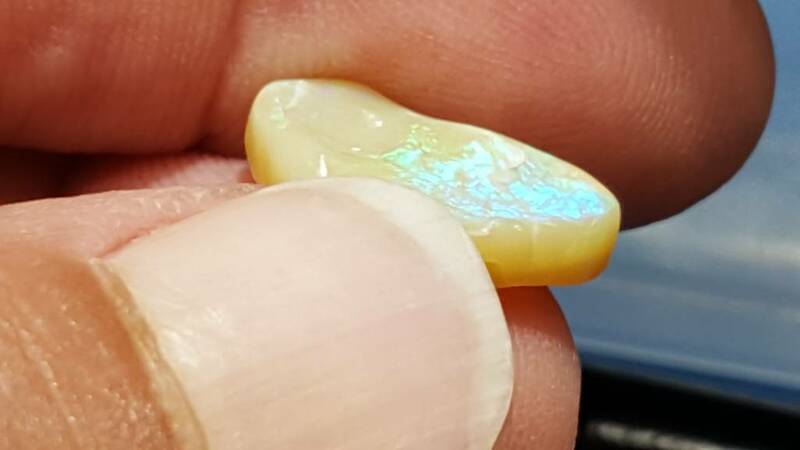 In the past, if I recall correctly, they were cut like Australian opal. Top one is the Slovakian I think. Bottom one is the black one with the opal seam. Oh gawd i want ti play with one of those! A coober peddy i did last weekend while mourning the death of my cousin. I put my tears into this rock. both are gorgeous. i am in love with the black one. Nice job on those CP's Randy. Sorry to hear about your cousin. Prayers for your family. Bluetangclan: I don't think the top one is Slovakian. It doesn't resemble the specimen I have at all, but I know I've seen some like that before. I want to say it's one of those Hondurans that aren't in the basalt matrix. I actually think the black one looks Honduran, too, with a seam in it. Something I've never seen before, but it's beautiful! Yeah the pics didnt show the color as well. 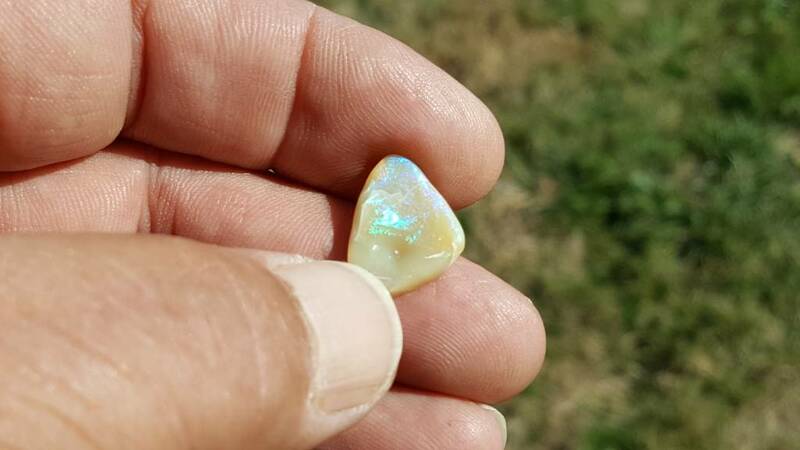 But it has the same lightish grey matrix as your pic, Gemfeller and the same crystal-like look of the opal. If I faceted these would make for some amazingly cool faceted stones. I agree on the Honduran although they lack the speckles of color I am used to seeing in it. Ill finish those two up and see what I end up with. Hmmm normal treatment of Honduran involves a 10 minute treatment in oven heated opticon, should I do that with opal in a seam like that? I wouldn't Opticon a seam. 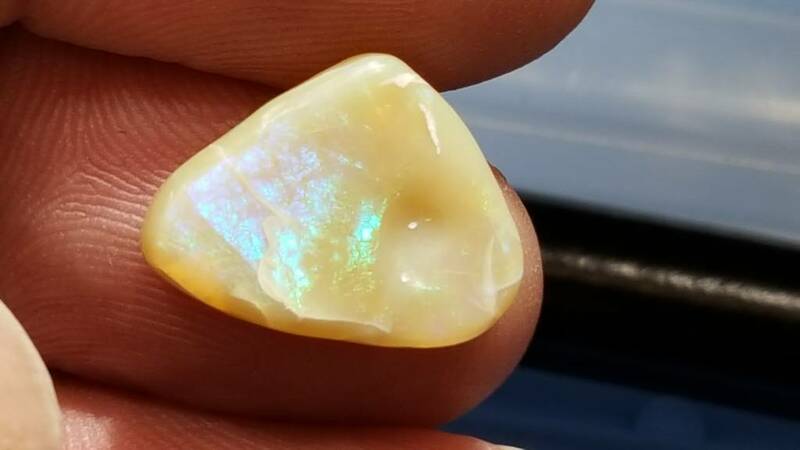 The basalt the Honduran opal is generally in is extremely porous and doesn't polish without treatment, but a seam is a seam is a seam ..... 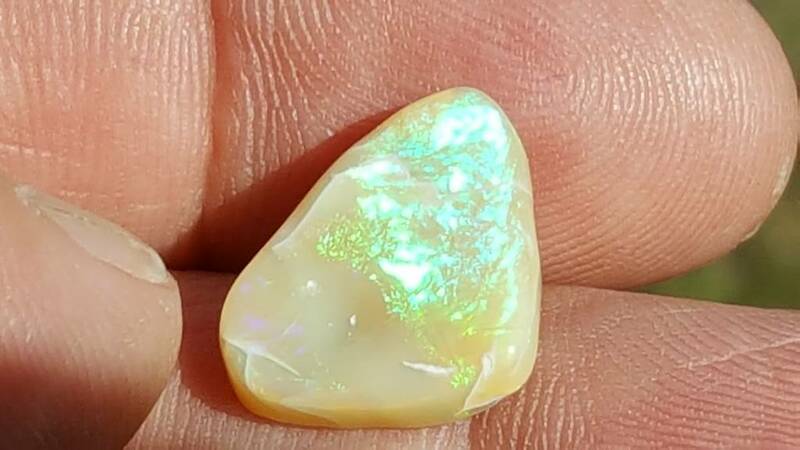 Solid opal. I'll second that. I have a couple pieces of the honduran seam opal with the crystal opal in seams in a grayish matrix and both the matrix and crystal have shaped OK using diamond wheels. I have not used opticon. I also have a few pieces of the gray (not black) matrix Honduran and no stabilization was needed.